Nice boat! Like new condition and stored inside during the winter. The engines only have 38 freshwater hours, and there is less than 100 miles on the trailer. Check out all the high-resolution photos and call today to make it yours! Stock #160635 BRAND NEW CONDITION!!! ONLY 35 HOURS!!! TRAILER INCLUDED!!! If you are in the market for a jet boat, look no further than this 2017 Yamaha AR210, just reduced to $41,900 (offers encouraged). 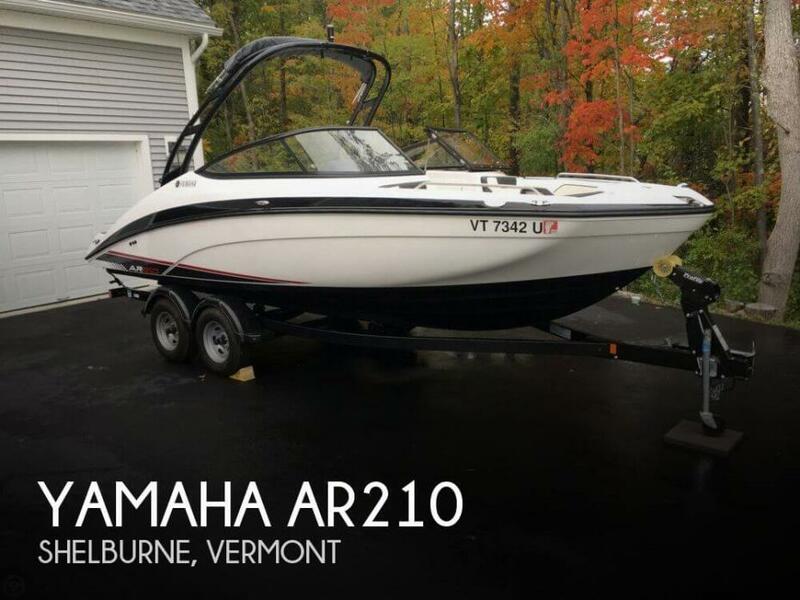 This boat is located in Shelburne, Vermont and is in great condition. She is also equipped with twin Yamaha engines that have only 38 hours. Reason for selling is not enough time to really use the boat as evidenced by low hours. 2015 Yamaha 212SS 2015 YAMAHA 212 SS 2015 YAMAHA TWIN ENGINES 2015 TANDEM AXLE TRAILER OPTIONS: BIMINI TOP BOAT COVER STEREO DOCKING LIGHTS SWIM STEP WITH FOLD DOWN LADDER CRUISE CONTROL BOW FILLER CUSHION SNAP IN CARPET GALVANIZED TRAILER UPGRADE COME SEE IT TODAY Performance and luxury blend flawlessly in the 212SS. 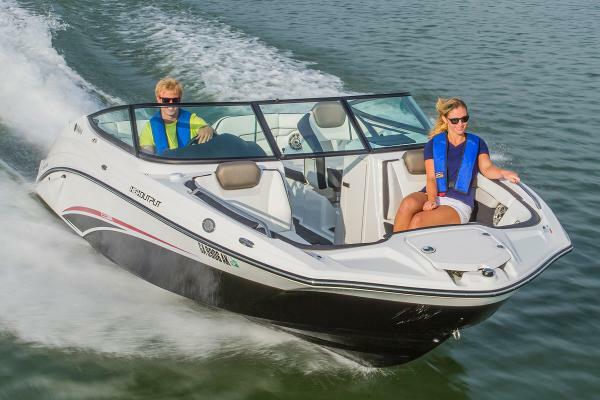 Twin 1.8 liter High Output Yamaha Marine engines deliver fast, full throttle power with top-end speeds over 55 miles-per-hour. Upgrades include plush upholstery, two durable gelcoat finishes and a luxury sports car inspired dash with Clarion® Stereo and premium Polk® speakers. The Yamaha-exclusive swim lounge features backrest cushions, upgraded SeaDek® mats and a wireless stereo remote.